For an explanation of the Bowie Restaurant Project, look here. For a list of all the Bowie Restaurant Project reviews, look here. Bowie has a golf course! With a snack bar. If the snack bar at the skating rink counts as a restaurant, so does this. And guess what? It's a heck of a lot better than the Penalty Box Cafe. The first time I went here, I felt compelled to participate in some actual golf activity first, so I dropped off the kids at school on Columbus Day and headed over to the course to hit a bucket of balls off the driving range (bring your irons; it's a short range). Then I found the snack bar, where I had a breakfast sandwich (bacon, egg & cheese). It was good; better than what you could expect at Dunkin' Donuts. The next time, I realized that nobody would actually care if I played golf first, so I just went in and ordered a burger and fries. Again, pretty good for a snack bar. Not up to what you'd get at, say, the Chesapeake Grille, but I left feeling satisfied. If you don't play golf, I can't really recommend making this place a regular dining stop. But even if you don't, it's not a bad option if you're driving down 197 and have time for something better than Burger King. While you're at it, grab those old golf clubs from the garage, dust them off, and hit a bucket of balls. It's even more fun that you remember. Jimmy John's is still not open at the Bowie Town Center, although I drove past after going to the 19th Hole and saw a lot of work going on. That means I have three restaurants left to review. Another review should be coming up in a week or so, then I'll have two of the pricier restaurants in Bowie left, so I'll have to find some special occasions (and possibly a babysitter). The Marketplace shopping center is scheduled to be redeveloped by 2016 (though I don't think it's a completely done deal). Restaurant options will include another Chipotle, Firehouse Subs, and the existing Glory Days Grill. Let's see...one of the reasons I started this project is I got sick of people visiting us at work saying, "We're in Bowie; I guess we'll eat at Chipotle." I don't love Glory Days, and the Firehouse at Waugh Chapel is OK, I guess. So while I'd like to see the place redeveloped (mostly for the Harris Teeter), I'm not excited about its effect on the dining scene. 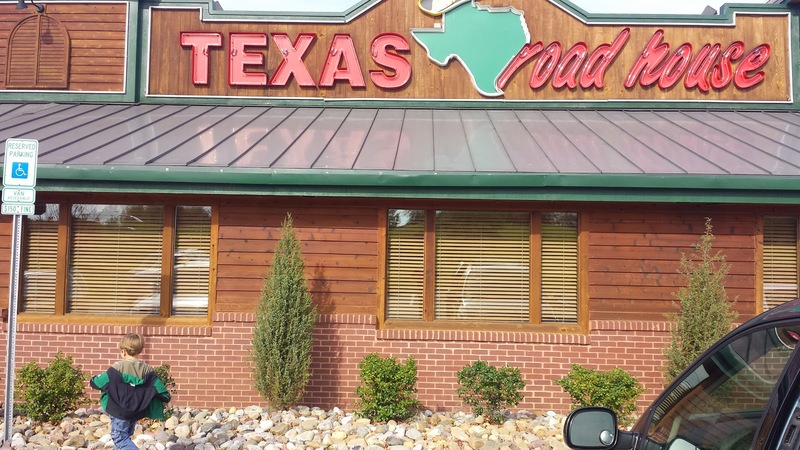 Texas Roadhouse is possibly the most kid-friendly restaurant in Bowie; if I liked the food, I'd give it 4 stars. The customer loyalty form also amused. They brought bread when they seated us at the table. Anyone who has tried to keep ravenous kids from losing it while waiting for food would appreciate this. They brought peanuts in the shell, which fascinated and amused my kids. The coloring pages they offered with crayons was more than just a two-sided thing. I didn't get a good look because they were busy being entertained by everything else. The kids got two mini-cheesburgers, a side and a drink for $3.99 each. 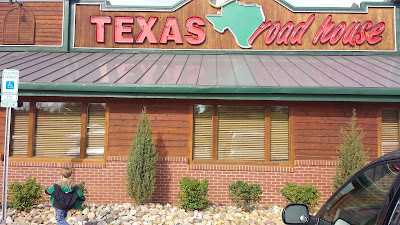 I got the unfortunately-named "Road Kill" steak and two sides for $9.99 (I think). Even though it wasn't their best cut of beef, it was nicely prepared...except for the seasoning. We experienced something similar when we got takeout two years ago, but the best way I can describe it is as if someone snuck in and re-labeled all of their spices. It just tasted off. So, it was very kid-friendly, and I was prepared to love it...but I didn't. The Bowie Town Center Food Court lost both Dairy Queen/Orange Julius and Carolyn Quinn's. Waugh Chapel lost Garbanzo Mediterranean Grill, which featured in my "Beyond Bowie" series of nearby places to get food you can't get in Bowie. Now you have to go to Annapolis for the closest Mediterranean food. Anthony's N.Y. Pizza and Pasta House is now open. Their web site is hard to find, so there's a link. I've been there six times, so obviously I don't hate it, but I am still mulling over my rating. Other than that, four restaurants to go. I am making progress; the end is in sight! After voting for Best Novella, I wrote, "This will be the last category I'm voting." I was wrong. I thought about the fact that I had nominated Kameron Hurley for Best Fan Writer, and I decided I should probably vote in the category if possible. As it turned out, each of the nominees submitted a fairly short collection of writing, so it was pretty easy to evaluate each of them on that basis. Kameron Hurley. I still think she has written some really incisive stuff, such as her post on the SFWA Bulletin controversy. Unfortunately, one of the pieces she chose to include was about health insurance. While a good piece, it didn't feel particularly fannish. Fortunately, as a regular reader of her blog, I don't have to rely on that piece to form much of my opinion. Abagail Nussbaum. The included material was essays on two books, a TV show and a movie. It helped that I had seen the movie and read one of the books, but I found the writing helpful in guiding my thoughts on the material. Liz Bourke. Some good reviews, and an interesting essay about writing a column on female authors. I didn't engage with the writing as much as Nussbaum's, perhaps because I was less familiar with the material. Foz Meadows. In many ways, she covers much the same territory of pointing out what it wrong in the SF community as Hurley does. I found it a little more in the rant direction. I think the behavior she writes about deserves ranting, and she writes about it well -- I'm just not voting it as high because it comes across as slightly less thoughtful. Mark Oshiro. As far as I can tell, his schtick is writing about works of fiction in the recap style that is very popular now for TV shows. Included in the packet were writeups of 3 book chapters and 1 TV show episode. I had read one of the books. The writing quickly went into personal reflection, which lost my interest. I thought the format was interesting, and I might enjoy it for some books I've read...but probably recaps by a different author. No Award. It's a favorite of mine; it rarely ends up in last place. I was really up in the air about positions 2-4. 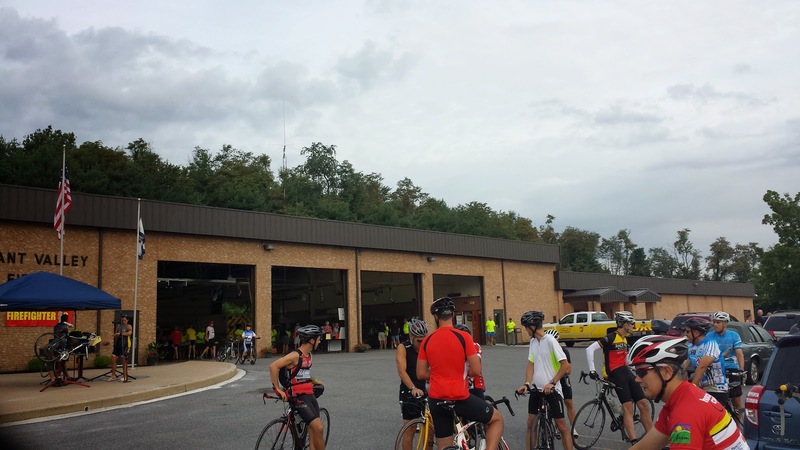 On Sunday, I biked in the Firefighter 50 in Carroll County. Despite the name, I was able to choose the 30-mile course. About 5 miles in, I realized that I should not be riding this far without training first. In between this ride and the last 25+ mile ride I did, I only biked once. That's not really a good idea, especially for an out-of-shape guy in his 40s. Other than the moments where I didn't know if I could finish (I pushed the bike up most of the hills in the last 5 miles), I enjoyed the ride. I prefer the rural cycling to the urban rides I've done the past two times. There's a lot less traffic and traffic signals. On the other hand, there are fewer rest stops and convenience stores, so I will have to remember to pack more water next time. Was this my longest bike ride yet? 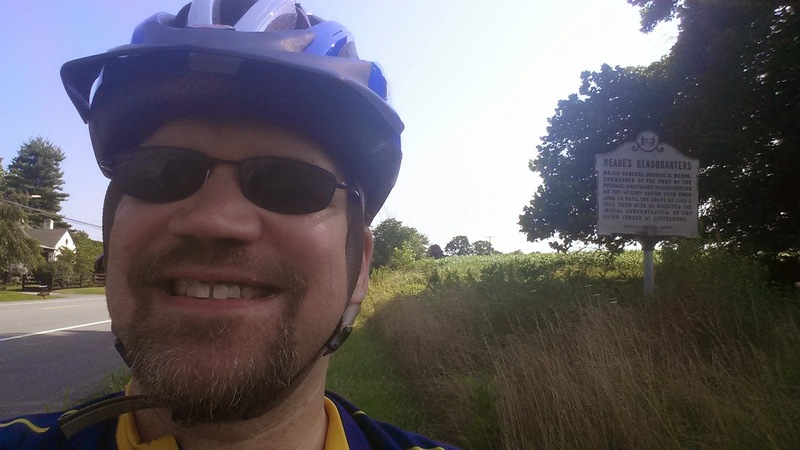 Last month, I listed my longest five, the longest of which was a 33-mile ride last year. According to MapMyRide, Sunday's ride was 33.09 miles. For last year's ride, I used EveryTrail, which rounds off to the nearest mile once you pass a certain distance. In an attempt to resolve this, I downloaded the GPX file and uploaded it to two different sites that allow you to visualize your tracks. One of them said 30.43 miles; the other said 33.5 miles. I guess it depends on how you interpolate between the waypoints. Let's call it a tie. 2014 marks the 20th anniversary of the only (men's soccer) World Cup to be held in the United States, (not) coincidentally the only one I've ever attended. The U.S. might bid for the 2026 World Cup. But could the Cup come back to the States sooner than that? Well, with Russia currently in the international doghouse, there are calls to strip Russia of the 2018 hosting duties. And Qatar is such a mess on the heat/bribery/human rights angles that moving the 2022 Cup to the U.S. is now a perennial story. So these rumors come up every few years (and it's an indication of how badly FIFA has done with the selection process that it has come up four Cups in a row), and often for the Olympics as well. Nothing ever seems to come of it. So I thought I'd try to find as many examples as possible of major international sporting events being moved. I came up with four. I suspect I've missed a few, depending on your definition of "major". But here goes. The 2003 Women's World Cup was moved in May 2003 from China to the U.S. because of SARS fears. This was really a last-minute move. How major was the tournament? At over 600,000 total attendance, it ranks below all but the first 3 men's World Cups. 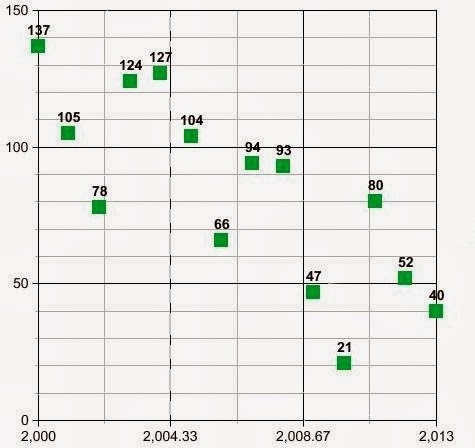 But the 1999 and 2007 WWCs each topped a million, indicating that the short lead time could have depressed turnout. The 1986 (men's) World Cup was moved in 1982 from Colombia to Mexico, since Colombia didn't feel it was financially prepared to host. Colombia had been awarded the hosting rights in 1974. I thought awarding the 2022 Cup in 2010 was ridiculous, but apparently it wasn't unprecedented. The 1908 Olympics were originally awarded to Rome, but when Mt. Vesuvius erupted in 1906, Italy didn't feel like it could afford to rebuild Naples and host the Olympics, so the games went to London. The 1904 Olympics were originally awarded to Chicago, but St. Louis was having the World's Fair, and threatened to overshadow it with their own games, so the Olympics were moved. This seems like the least relevant example. So, anyway, it has happened before, but very, very rarely. So I guess I'll greet any future "maybe they'll move the World Cup" stories with skepticism, but I can't say it's impossible. 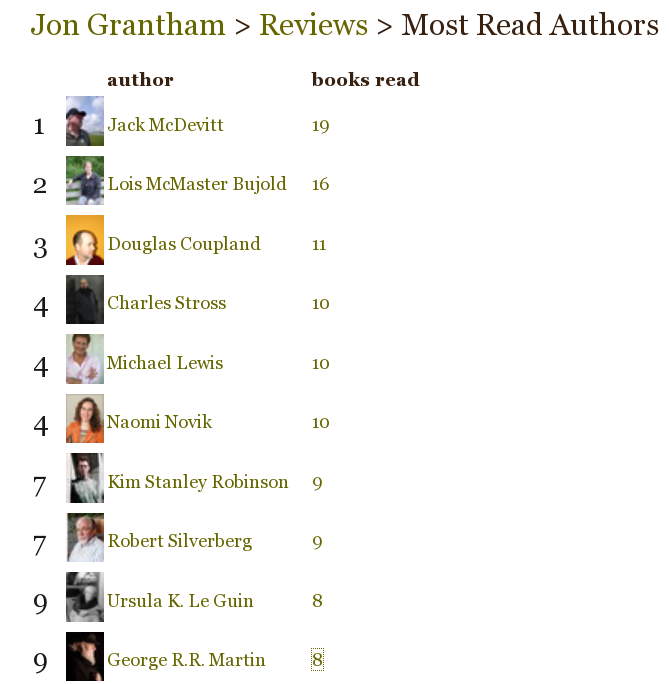 Goodreads compiles a list of your most-read authors. Of course, this list only counts the books I've entered into Goodreads. So I'm sure Isaac Asimov or Franklin W. Dixon would make a lifetime list. But these capture the books I've read in the past four years since I've joined Goodreads, plus the ones from the past I've cared enough to list, so I thought it would be mildly interesting to discuss who is on the list and why. Lois McMaster Bujold. All but three of these 16 I've read since May of last year, which is a testament to how good they are. I've mostly read her Vorkosigan novels, which are always very good, but sometimes are amazing commentaries on social structures and personal relationships. Douglas Coupland. I read his first novel, Generation X, in college and was awe-struck. Some of his later work has been disappointing, but he still has the ability to capture an idea so profoundly that it will burrow into my head and stay there for decades. Michael Lewis. I got hooked on his writing when he was with The New Republic in the 1990s. Though justly praised for his financial (Liar's Poker, Flash Boys) and sports (Moneyball, The Blind Side) writing, don't overlook his writing about politics (Trail Fever) or family (Home Game). Naomi Novik. Her Temeraire series starts off with His Majesty's Dragon, which is a really fresh alternate-history fantasy. Later works are uneven, but the series as a whole is strong. The 10 books represent the 8 novels and 2 short stories in the Temeraire universe. I am looking forward to the series conclusion next year. Kim Stanley Robinson. The only author from this list I've actually met; he's a really nice guy. His Mars trilogy is probably his best work, but I've enjoyed most of the books of his that I've read (although I couldn't finish a couple). He sometimes lets his eagerness to explore ideas harm the style of the books. Robert Silverberg. The Majipoor series instilled such a sense of wonder in me when I read it growing up, and it's still magical to return to as an adult. The original trilogy is the rare set of books I am happy to re-read. Ursula K. LeGuin. A fantastic writer, whose work I've mostly come to through my quest to read award-winning fiction. She has written both young adult novels with tremendous depth and adult novels with tremendous depth, and she's done it over a span of half of a century. George R.R. Martin. Aside from the five most-famous books of his (which I love and are the rare books I'll re-read), I have read a couple of anthologies which he co-edited, about 20 years apart. If I could remember what I read in the 1990s better, he might move up the list, though anthologies probably shouldn't count. I have no plans to read any more of his anthologies, though the one stand-alone novel he co-authored, Windhaven, was pretty good. This will be the last category I'm voting. As previously discussed, I'm not going to make it through the Best Novel category. The Retro-Hugos are neat, but I don't have time to track down anything other than the Short Story category (which was only missing one story). I started on the Campbell Best New Writer Award, but four of the five nominees submitted novels (one of them, two novels), and I'm not going to get to read all of them. I appreciate the opportunity to read the work, and I hope to have the time next year to vote in this category, but not this year. So, on to the novellas. I rated one of them with four stars, one of them with three stars, and three of them with two stars. I ranked them in a different order, however. Equoid: "This is well-written, but it's not horror for people who don't like horror. (It's probably actually more creepy fantasy than horror, but I really don't like horror.)" 3 stars. Six-Gun Snow White: 2 stars. Some nice language, but the attempt to re-tell (sort of) the Snow White story in the Wild West did not work for me. Neither the plot nor the character held my interest. Wakulla Springs: "It was a well-written and enjoyable story....but...why, why, why do people keep nominating works that aren't SF/fantasy for SF/fantasy awards?" 4 stars. The Chaplain's Legacy: 2 stars. Too many cliches: aliens who marvel at the notion of religion and ordinary guy who becomes a hero by sticking to his principles, to name two. The Butcher of Khardov: 2 stars. I suppose it's possible to write a fantastic work based on a miniatures game, but this really felt like it was set in the universe of a miniatures game. 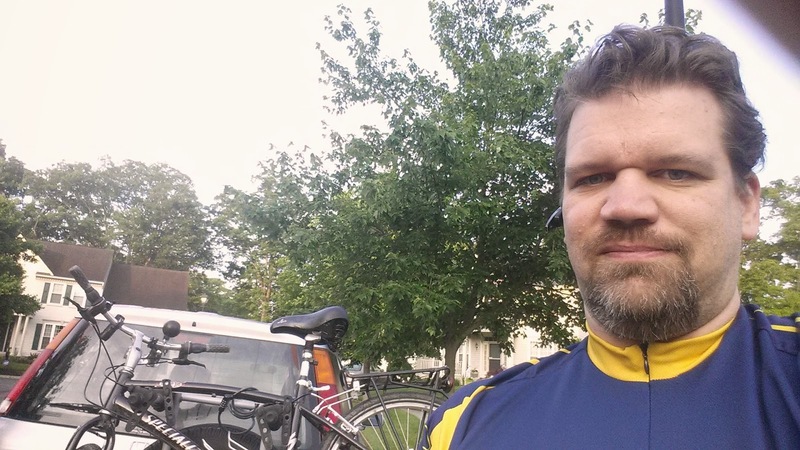 Yesterday I signed up for a 30-mile bike ride, which takes places next weekend. Since I hadn't been on my bike since my last long-distance ride, I decided I needed to practice. I went out for an hour, but only managed 5.6 miles. That was partially because I motivated my ride by finding a geocache, which entailed a lot of riding around slowly trying to figure out where I should be. (I am trying to embed the map above, which should show the part where I was spinning my wheels.) The cache I found is named McCrory's, after a store that was in this shopping center many years ago. The shopping center has become very dilapidated -- there is a rumor that Harris Teeter is in negotiations to come in -- so there weren't a lot of people hanging around, which is good for cache stealth. 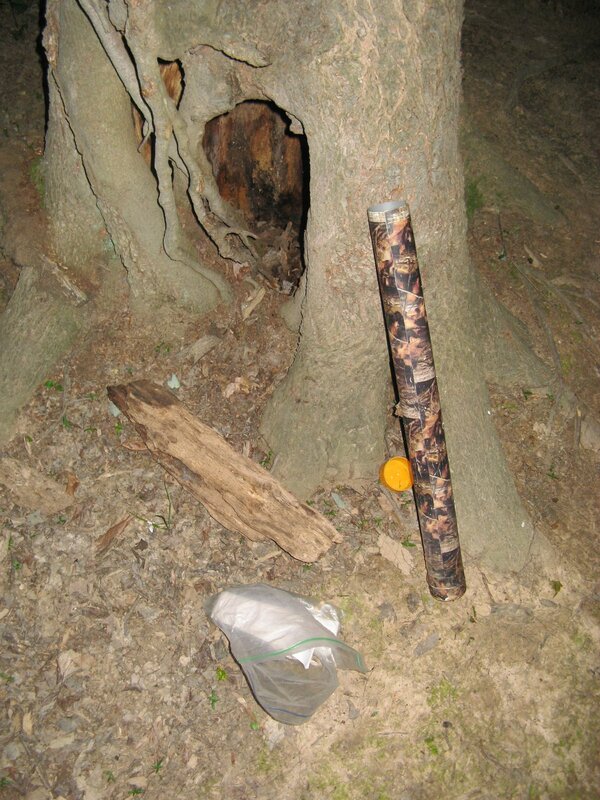 One of the problems I have with geocaching, though, is that I'm not thrilled with either caches like McCrory's, which are in perfectly icky parking lot settings, or deep-woods caches that require you to bushwhack for half a mile to find them. There are a few that are "just off the beaten path," but they require me to choose carefully. Still, I was happy to log this one, since it put me one cache closer to my "goal" of finding one in each minute of the 76th degree west of longitude. (I put "goal" in quotation marks, since I find it unlikely I'll ever finish this.) This is my 13th minute. I looked to see if I could add to my count on next week's bike ride, but it appears to take place entirely to the west of the 77th parallel. The Goofiness of the "UEFA Coefficient"
On December 2, 2009, the Scottish club Celtic beat the Israel side Hapoel Tel-Aviv 2-0 in the group stage of the Europa League (Europe's second-tier club competition). Despite the victory, Celtic was eliminated and Hapoel moved on. I started thinking about UEFA coefficients in detail after reading an article about Celtic's new manager, Ronny Delia, and his complaints about having to enter at the second round of Champions League qualifying. "It is stupid the Scottish coefficient is not regarded as good enough," he said. "We maybe have one good team but the other ones are dragging that team down." That got me to look at how Scotland's coefficient is calculated, and the extent to which other teams, are, in fact, dragging Celtic down. The specific complaint Delia had was about the 2014/5 season. For that season (the current one), the rankings are determined based on play from 2008-13. Scotland's ranking is 15.191, good enough for 24th. If I added correctly, Celtic produced 8.9 of those points, or more than half, even though they were one of as many of 6 teams whose performances were averaged together. If you consider Celtic as its own nation, they would have had a UEFA coefficient of 43, good enough for 10th place on the list. The 10th-place nation's champion proceeds directly to the group stage, skipping the three qualifying rounds and the playoff round. I think Delia is arguing that would be a fairer fate for Celtic. But, wait! How did Celtic acquire those (hypothetical) 42 points? In 2008-09, they picked up 7 points for their participation in the Champions League group stage, but failed to advance. In 2009-10, they were knocked out of the Champions League in the playoff stage (after advancing through one qualifying round), which bounced them into the Europa League, where they lost in the group stage. Despite not making it to the Champions League group stage, nor advancing in the Europa League, they got 7 points, the same as the previous year. In 2010-11, they were knocked out of both the Champions League third qualifying round and the Europa League playoff round, but picked up 2 points by winning one leg of each round. In 2011-12, they got 7 points for their performance, which saw them fail to advance past the Europa League group stage. In 2012-13, their most glorious recent year, they got 20 points when they advanced to the round of 16 in the Champions League. Four of those points were for victories leading up to the group stage. So despite the fact that those 42 points means Celtic "deserved" to be in the Champions League group stage, many of those points (19 of them) came from parts of the competition below the CL group stage. On the other hand, if we magically place Celtic in the CL group stage every year, and assume they lose every game in years where they didn't actually qualify, they still earn 4 points/year for CL group stage participation, which gives them a total of 31 points, good enough for becoming the 13th-ranked "nation," and yes, automatic entry in the group stage. There are two kinds of feedback going on here. The positive is that being a highly-ranked nation makes it more likely that your teams will end up in the group stage, where they earn points for being in the group stage. The negative is that higher-ranked nations have teams play in fewer matches (by skipping qualifying), so they have fewer opportunities to get points. I'm curious how these feedbacks balance each other out. I suppose if they didn't, we would see a lot of oscillation in national rankings. I'm not sure if that happens or not. I think there's an opportunity for an interesting mathematical analysis of the way in which the UEFA coefficient ranking differs from an ideal ranking. Assuming you want to stick with the UEFA rate-the-country approach, there's probably still a better way. Searching the mathematical literature, I found one 2005 paper on the UEFA coefficient. I will go read that paper, but there's probably room for further research. I'm not going to be able to read the 2014 Hugo Best Novel nominees. One is the entire Wheel of Time series, which could take years to read. Three were not included in the Hugo voters packet, which means I would have to track them down if I were so inclined. (I have done so for Ancillary Justice, and started to do so for Neptune's Brood, but I lost interest.) The other one is included, but was nominated as part of a right-wing slate that hasn't held my interest so far. So, on to other categories. The 75th anniversary of the first Worldcon is celebrating by voting on the Retro-Hugos, since no actual Hugos were awarded then. The Retro-Hugo voters packet is even more incomplete than the Hugo packet, but it had four of the five short story nominees, and I got the other one from the library. The Faithful: "This one was not really dated after 75+ years. It tells a moving story of the extinction of mankind while the races we have attempted to uplift figure out both how to carry on without us and to honor us." Hyperpilosity: "It was a cheesy story about a "future" episode during which everyone started getting very hairy. It tried to be funny and clever, but fell flat. It wasn't helped by the outdated portrayals of women and Mexicans." Helen O'Loy: "It's a story about two men who build a robotic woman and the romance that develops thereafter. Helen O'Loy=Helen of Troy=Helen Alloy. Get it? If you don't, it's spelled out in the story." No Award. This is my dividing line between "I didn't like it," and "It wasn't very good. How We Went to Mars: One of Arthur C. Clarke's first stories. I'm glad he improved his craft, and stopped trying to write humor. Hellerbochen's Dilemma: "What the heck was this? It made no sense, and seemed to be Bradbury writing down a half-remembered dream." Quotes from my Goodreads reviews (How We Went to Mars is not on Goodreads). To give you a sense of how I felt, The Faithful got 4 stars, Hellerbochen's Dilemma 1 star and the rest 2 stars. I've now started in on the nominees for the 2014 Campbell Award for Best New Writer. It looks like there's some interesting works submitted for consideration in this category. Well, I knocked off another category. Quotes, as always, from my Goodreads reviews. The Truth of Fact, The Truth of Feeling: "It cuts between a future story where people can search video logs of their life as a virtual memory and a past story about a tribe which is learning writing. The future story is really affecting, and the past story is thought-provoking, but the juxtaposition of the two is a little too obvious for me to give it five stars." Lady Astronaut of Mars: "This novella violates one of my principles of alternate history, which I am about to make up. Here goes. If you write alternate history, the what if parts of the story should be central...It distracts me from the rest of the story trying to figure out what's going on with the discrepancies, particularly in a work of short fiction. Other than that, I kind of enjoyed it." The Waiting Stars: (from a review of another of the author's stories) "The ratings really reflect my enjoyment of the story rather than any judgment of the literary quality of de Bodard's work. It's just not to my taste." The Exchange Officers: For some reason, this story is not on Goodreads. I found it to be a mundane story marred by a few inexcusable typos. It had sort of a retro feel to it, except the UAV-like remote operation of the spacesuits. A similar story would have not been out of place in the 1980s, but it would not have stood out then, either. No Award: I really only felt that The Truth of Fact was award-worthy of the above stories. However, if you want to give the award to one of the others, I may disagree, but I won't object. Opera Vita Aeterna: "I found nothing egregious about the story, but it repeatedly put me to sleep. Literally. It should have been a quick read, but it delayed my appraisal of the rest of the Hugo slate by boring me into unconsciousness when I tried to tackle it. Let's have an elf argue theology with an abbot... And the ending was very...well, boring, too." Last year, I was so overwhelmed and dispirited by the process of voting for the Hugos that I never blogged about my votes. By the time the awards were announced, I forgot exactly what my ballot was. This year, I am going to try blogging about one category at a time. Since I can submit partial ballots as I go, I'm going to try finishing a category, voting on it, then blogging about my votes. Quotes are from my Goodreads reviews. 1. Selkie Stories Are For Losers: "The most impressive thing, to me, about the story was that I started out thinking, "What the heck is a selkie," and ended the story feeling like I had a good grasp of the mythology. OK, I googled to find out that it's some sort of fey creature, but I'm not sure if the specifics are part of the folklore or were invented for this story. So the author very economically painted a picture of the fantasy background, in a story that mostly dealt with non-fantasy things." 2. If You Were a Dinosaur, My Love: "It's a quirky and ultimately very moving story, but it feels a little thin, especially as a work of fantasy." 3. The Water That Falls on You from Nowhere: "The fantasy premise was very thin (all of a sudden, people start getting soaked with water when they tell a lie), and it seemed like a mostly unnecessary embellishment on the story. Still, it was a well-written story about a man trying to come out to his family. It just felt like a story with a giant metaphor hanging over it." 4. The Ink Readers of Doi Saket: I didn't write a review of it. It just didn't click with me. 5. No Award: I did not dislike any of the stories enough to wish that the award be withheld rather than given to one of them. Tour Dem Parks, which I just biked, ended up being longer than last fall's Tour Du Port. Partially because I counted the ride from the car to the start point (and back), and partially because the 25-mile course I selected was actually more than 26 miles long (a fact I realized around Mile 21). I didn't take any pictures along the route because while it was pleasant and enjoyable scenery much of the way, nothing was spectacular, and I just concentrated on enjoying the ride. 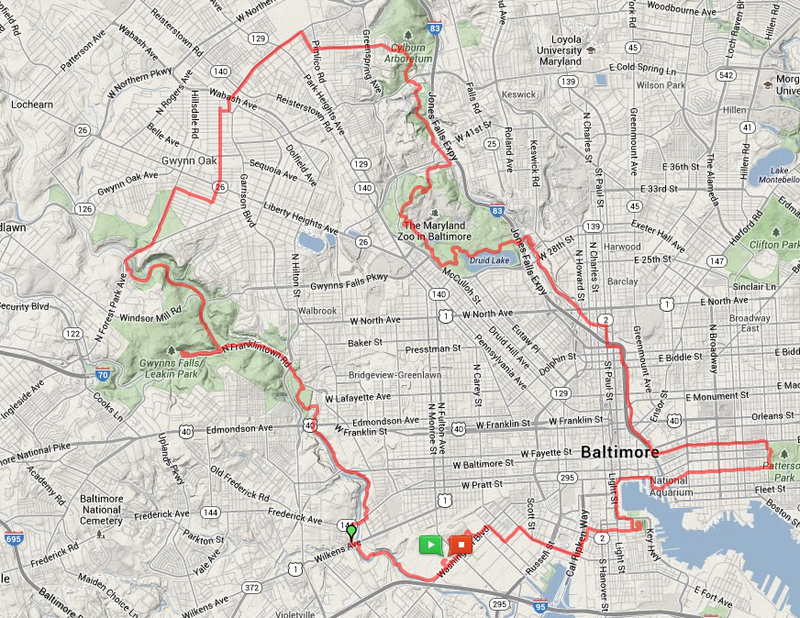 For this ride, I switched from Everytrail, which I had used for previous rides, to MapMyRide. Mainly because I'm participating with a team in the National Bike Challenge. The routes for Tour Dem Parks were posted on MapMyRide, and when I tried to copy it over to follow along, it got logged as participation in the National Bike Challenge, despite the fact that I deleted it (oops). I read this book in one sitting on a cross-country plane flight. It was the first time I had read a book in one sitting in several years, so I'm very glad I got to read such a good book. Despite the good reviews this book has received, I had avoided it for a while. I had found the description a bit off-putting -- particularly the fact that the protagonist was formerly a starship AI. I find a lot of science fiction about non-human, meta-human or post-human beings fairly tiresome. But since Ancillary Justice won the Nebula Award for Best Novel and has been nominated for the Hugo Award, I decided to give it a try. In the best of circumstances, when I read a book based on awards, it forces me to look beyond my first impressions and find an unexpected gem. This was the best of circumstances. So what did I like? First of all, I thought the politics of the book's universe was really thought-provoking. The Radsch, the main political unit in the book, had built its structure around continual expansion and now has to confront the end of the expansion; I think there are interesting analogs to Earth, particularly in American history. Second, the way in which the AIs spin copies of themselves off (and other characters do too) raises interesting questions about the extent to which, say, we are the same person across time and experiences. Finally, all of the mind-shifting is done really cleanly without either boring exposition our annoying mumbo-jumbo, resulting in a cleanly-written story that was a pleasure to read. This year, the only other Nebula Best Novel nominee I read was The Ocean at the End of the Lane. Ancillary Justice was better. I read it the day after it won the Nebula; I have now read 42 of 50 winners. I am now diving into the Hugo reading list. By the time I am done with that (or, more likely, the voting deadline has passed), I will have built up several other books I'm itching to read. So I probably won't get to any of my final eight until late this year. Well, the nominees for the Hugo awards and the Retro-Hugo awards (for works published in 1938) were announced early today. A few Many quick rambling thoughts. If you look at what I nominated, two nominations made it through -- Kameron Hurley for Best Fan Writer and "Selkie Stories Are For Losers" in Best Short Story. I'm very happy about Hurley's nomination, since I like her criticism a lot. I recently listened to an audio version of "Selkie Stories Are For Losers" and was even more impressed the second time around -- the story is definitely layered. I had two "near misses." I nominated Game of Thrones in Best Long Form, but it ended up in Best Short Form. I nominated Randall Munroe for Best Fan Artist, and he got a nomination in Best Graphic Story. I haven't read any of the nominated novels (for 2013; I'll get to the Retro-Hugos later). I've heard good things about Ancillary Justice, and this nomination will be the kick in the pants to get me to read it. Neptune's Brood is the sequel to Saturn's Children, which I started but lost interest in. Again, kick in the pants, happy to give it a try. Warbound? What is this? Alternate-history urban-fantasy from the 1930s? That just looks weird. Oh, The Wheel of Time made it. I gave up four or five books in. I will be interested to see how much of this ends up in the Hugo packet. "But...why, why, why do people keep nominating works that aren't SF/fantasy for SF/fantasy awards? There are exactly two places in the book where fantastical elements appear in the story -- one near the end, the other literally at the end. While both may be important to the feel of the story, neither is important to the plot of the story. So even though I enjoyed the opportunity to read the story, it's not on my Hugo nomination ballot"
In the short story category, I've read "If You Were a Dinosaur, My Love" (heartbreaking, I have to decide if it's SF/fantasy) and "Selkie Stories Are For Losers" (awesome, as noted above). Kameron Hurley also picked up a Best Related Work nomination for "We Have Always Fought: Challenging the Women, Cattle and Slaves Narrative." I skimmed it when it came out, but it's the sort of piece that made me nominate her for Best Fan Writer. Iron Man 3 is the only movie I've seen. I'm really looking forward to seeing Gravity, though. I'm not sure I'll watch enough of them to vote. In the short-form dramatic presentation, Game of Thrones is up against 4 Doctor Who things and one episode of Orphan Black. Because Worldcon is in London, the memberships will skew British, so I expect a Dr. Who win. From the 1939 Best Novel nominees, I've read Out of the Silent Planet as an adult, and The Sword in the Stone growing up. I'm looking forward to re-reading both. In Best Novella, I read Anthem in high school. I remember it took me about 2 hours, and I thought it created a pretty obvious straw man to knock down. I haven't actually paid my WorldCon dues yet, but I expect to once the Hugo packet is out. I was really hoping something like The Martian would be nominated, since I've wanted to read that. I think the opportunity to vote on the Retro-Hugos will keep me interested. I'm not sure I'm in for 2015, though. This is one of the Nebula Nominees for Best Novel, and it was conveniently available for loan in Kindle form from my library. Neil Gaiman wrote this book to appeal to his wife, who "doesn't like fantasy." My knee-jerk response is that I would like to see what he had done writing for people who like fantasy. It's Neil Gaiman, so the words are arranged consecutively in very pleasing ways. It's the story of a 7-year-old boy, as told from the perspective of his older self, and the various fantastical and fairy-tale things that happen to him. In contrast to some books where the magical elements are implied to be imagined by the child, here I think the implication is that the events of childhood really do have magic underneath them. But neither the magic nor the characters are compelling enough for me to love this book, or even like it a lot. (Contrast Among Others, where the magic wasn't compelling, but the characters were.) Instead, I finished the book thinking, "Oh, that was nice enough." OK, a mildly interesting, but probably not strictly true, observation, dressed up with some beautiful language. I suspect this will be one of the Hugo nominees, if not the winner. I figured I might as well read it now anyway, since it was available from the library. I did not end up nominating it for the Hugo. 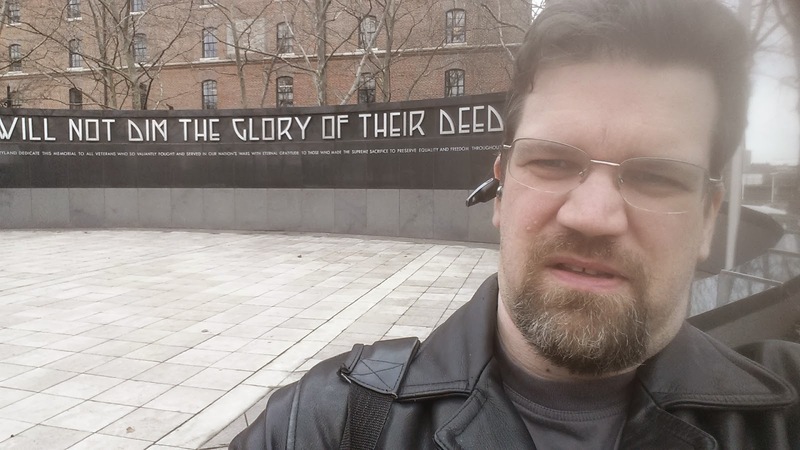 As a member of last year's Worldcon, I'm eligible to nominate for this year's Hugo awards. I will probably become a member of this year's Worldcon in order to vote on the nominees, but we're not there yet, are we? Last year, I didn't nominate very much. My reasoning, expressed in another post was, "I wouldn't want my vote to bump another interesting novel out of the Hugo list, because I want to see what else it out there." This year, I've changed my mind. I saw what else is out there last year, and I didn't like it very much. Basically, if it's a four-star work, I will nominate it. Here's what I've got. Comments: Steelheart is definitely my favorite of the novels. The New Guys Always Work Overtime is available on the Starship Sofa podcast. I'm looking forward to a followup work in the June 2014 issue. I'm not a subscriber, but I'll make sure to pick that up. A Game of Thrones episode won the short-form Hugo last year, but I didn't know which one to nominate this year, so I put it in long-form again. I started reading Hurley's blog after reading her Nebula-nominated novel two years ago. I didn't love the novel, but I've found her insights into the sf community smart and refreshing. Randall Munroe writes xkcd which is just awesome. He did some particularly nice work in 2013, and since I've noticed him in "Others Receiving Votes" in 2012, I thought I'd try to help get him nominated. 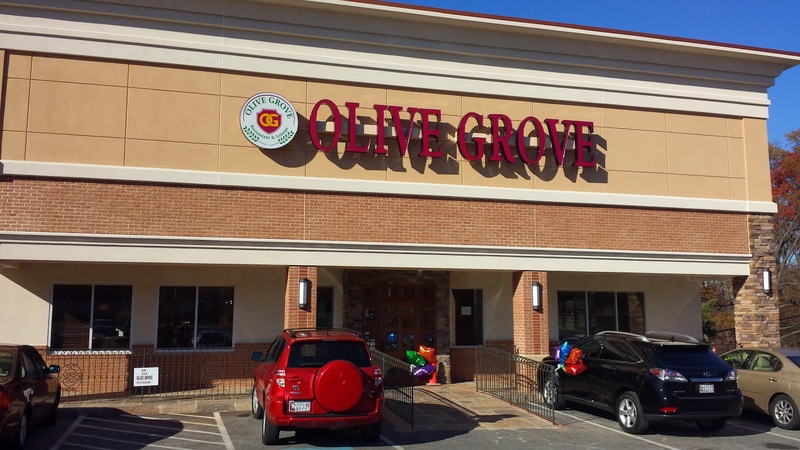 My first visit to Olive Grove was with a co-worker for Wednesday lunch. It was a week after their opening, and things just didn't seem quite under control yet. The signs in the parking lot had the wrong address for their web site, and when my colleague asked about the gluten-free options they advertised, the waitress checked and found out that they did not have the gluten-free pasta in stock yet. The breadsticks were not up to par with the Olive Garden's, and the crab cake was disappointing. Just like I expect an "Oh boy, I'm eating sushi" feeling from sushi, I expect excitement from a crab cake. I was unenthusiastic about theirs, though, which is disappointing because it is supposed to be a signature dish. My colleague was not entirely happy with his Eggplant Parmesan. My second visit was a couple of days later, for takeout on a Friday night. Like Carrabba's, they will deliver your food to your car. They go one better, though, by having you pull along side the restaurant to receive your food rather than wasting valuable parking up front. The food took way longer than estimated, but at least I was in my car. The food from this visit was much better; Christina and I enjoyed our pasta, and the kids meals, while pricey, consisted of some big burgers. The burgers, however, were not cooked through. I'd appreciate it for myself, but that seems like a no-no for the younger set. Clearly, a tiebreaker visit was needed. After an outing at Allen Pond Park, Christina and I brought the kids there. And...it went well! Our pastas were very good. The kids enjoyed their burgers. The waitress asked whether we wanted them well-done, so good for that. The kids meals included a drink and ice cream, which was not something we enjoyed in the takeout, so it seemed like a better deal. 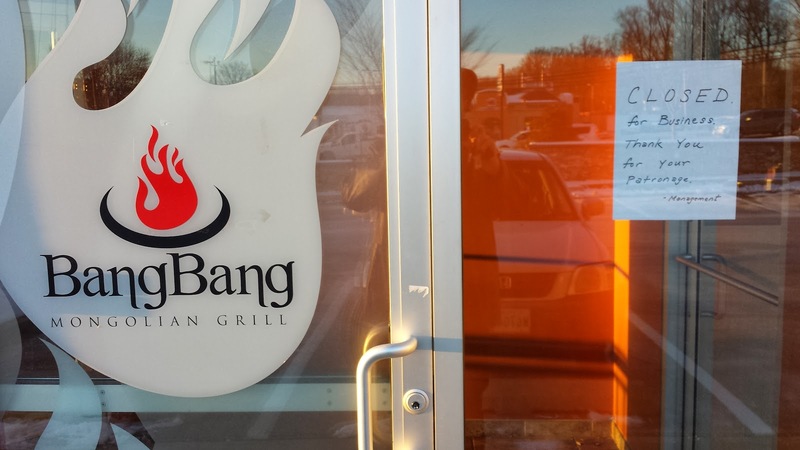 Still on the pricey side compared to, say, Chesapeake Grille, but comparable to other sit-down options like Outback or Carrabba's. But wait...based on the success of our third visit, Christina made plans for a fourth visit! I had written the above, but put it on hold in case things changed. And they did! Within 8 days, they had completely re-done their menu. They had reduced portion sizes and cut prices. So no more ice cream with the kids' meal (we ordered some a la carte since we had promised it to the kids). I think...that's a good thing. (The less food for less money, not the lack of ice cream.) 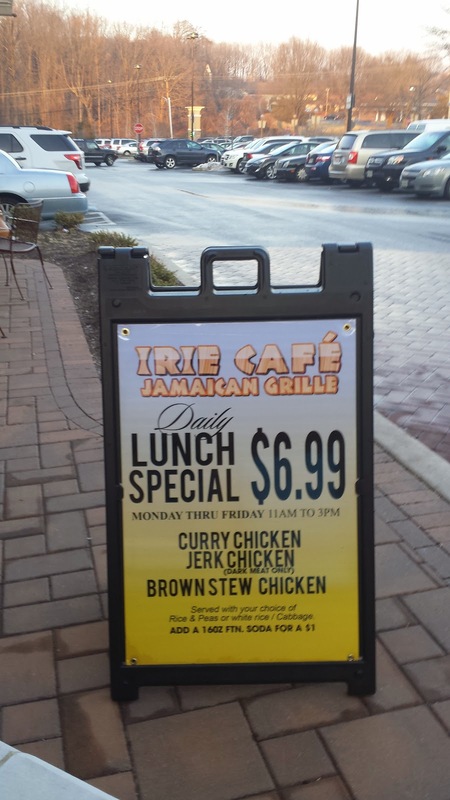 Olive Grove now has daily lunch specials, and it seems like more of a reasonable choice on a regular basis. So what happened? I think they got better over the first few months they were open. Certainly the fact that they were really busy around 3 on a Saturday makes that seem likely. But it's also possible that they just don't do crab cakes or eggplant very well. I certainly don't have the dining budget to go back and order things I don't think I'll like, so I'll be sticking with the pasta. The pace of work appears to have picked up on Anthony's Pizza. Every time I go by there, something seems to be going on, and I see the rough outline of a front counter. Hopefully we'll see some sort of announcement for an opening date soon. Here's what their sign is going to look like. While passing by China Chef recently, I noticed they had a table and a couple of chairs. This put it right on the edge of my definition of what constitutes a restaurant, since in theory you could order food and eat it at that table. Eventually, I decided that you would be annoying the people who wanted to sit there while waiting for their food, which was clearly the purpose of the table. So no China Chef. That leaves me with four restaurants to go. There is an article in the Gazette today entitled, "Residents voice opposition to new Bowie housing development." I'm one of the residents quoted in the article. Although I'm quoted accurately, I wanted a place to lay out my detailed thoughts on the matter, and well, this is my blog, so here goes. The Melford Village proposal is a complex and multifacted beast. I am impressed with the attention to detail by both St. John Properties and City staff in analyzing the many aspects of the proposed development. I, however, chose to focus on just one thing -- bike and pedestrian access. I did this for two reasons. One, as someone who sometimes bikes to work at Melford, I know how much bike access needs to be improved. Two, since St. John is touting Melford Village as an environmentally-friendly development, better non-motorized access seems like a good test of their commitment. I went to the Advisory Planning Board meeting with an open, if confused, mind. I had read through as many of the documents as I could. Some of the documents seemed to show a trail along the Melford entrance, but I could find no commitment to specific connections. In particular, not only was there no assurance that there was improved access to Belair Drive, there was no reference to the proposed trails along 301 in the City of Bowie Trails Master Plan. Those proposed trails would really make Melford Village a lot more attractive to the type of active, environmentally-conscious residents St. John wants to attract. "How can the development be made more conducive to biking, except down Belair Drive, given the two highways that border it? Are biking bridges that cross route 50 or route 3 forseen? 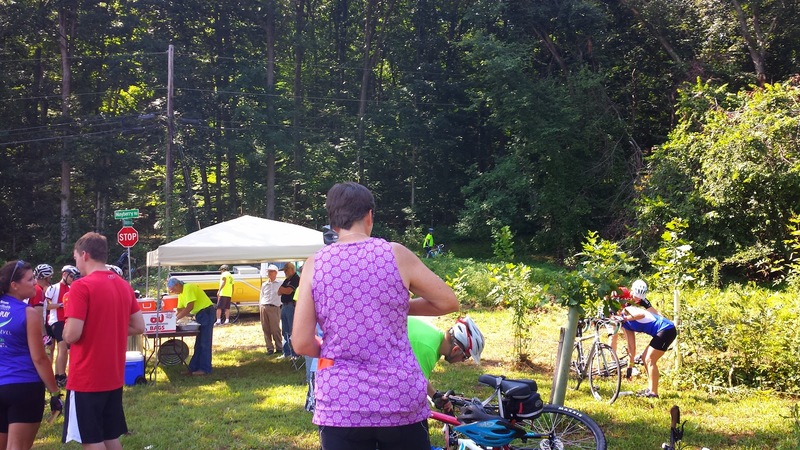 One can't bike to any of the stores near the community, to Sport Fit (a mile away), or to Whitemarsh Park without riding on Route 3/301." "The proposed design includes 9.5 miles of sidewalks, 3.4 miles of trails and 1.6 miles of bike lanes within the community. Residents of Melford Village will be able to live a healthy lifestyle without needing to interact with the highways bordering the Village." It sounded like they had no interest in connectivity with the rest of Bowie. "A pedestrian connection...shall be constructed between the Melford Boulevard/Science Drive roundabout and Kendale Lane in the Kenilworth section, prior to the issuance of the 300th building permit." I have three problems with this condition. It should be a bike/pedestrian connection. Given the distances between Melford and the rest of Bowie, bike travel is more realistic than walking for running errands, etc. It doesn't address connectivity to Route 301, which would give more direct access to commercial features than the Belair Drive connection. I don't see why it should wait for the issuance of the 300th permit. I wasn't sure whether I was in the camp of objecting to the development based on the inadequate bike/pedestrian facilities, or saying I'd support it if they were made adequate. Then a representative from St. John objected to Condition 25 on the basis that it wasn't safe for people to walk in and out of Melford. Well, yes, I know that! (Having done so.) The lack of any interest in making it safe pushed me over into the camp of those opposed. I spoke off the cuff, so I don't remember exactly what I said, but here are the main points I tried to make. I would like to see Melford succeed with an environmentally-friendly development that is part of Bowie. In order to be environmentally-friendly and part of Bowie, you need bike and pedestrian connectivity with the rest of Bowie. It is unrealistic to expect that nobody will want to walk or bike out of Bowie. The developer proposes restaurants as part of Melford Village; I don't expect every dishwasher at every restaurant to be a resident there. This is not a theoretical concern. 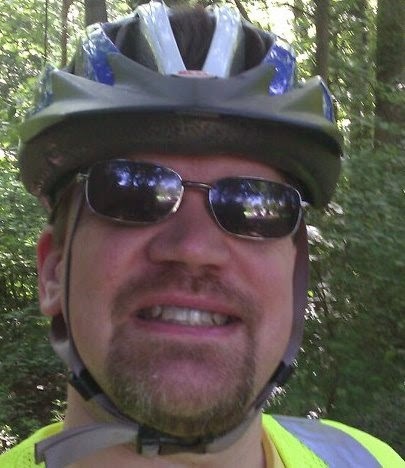 In 2011, a Bowie resident biking home from a job in Crofton was killed on Route 301 not far from Melford. This will come up before the City Council soon, and I expect to be engaged. I pushed a year ago for adequate connections to the rest of Bowie being a condition for development, and I'm going to keep pushing for it. I started the "Beyond Bowie" series of restaurant reviews to incorporate reviews of nearby types of restaurants that Bowie doesn't have, but should. It seems a little weird to put Nando's in that category. First of all, if you see the category as "spicy roasted chicken", we already have Lima's, which I like a little bit better. On the other hand, if you (as I do) view it to be in the category of Portuguese restaurants, that wouldn't be on most people's list of what's "missing" from Bowie. 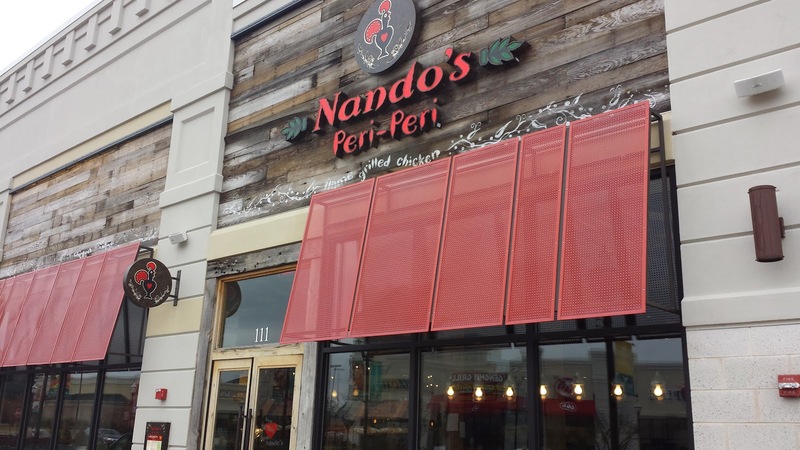 But once you visit Nando's, you may wish we had one of these places slightly closer to home. The chicken is consistently good. The sauces, made with the African peri-peri pepper, are interesting. The sides, such as the "macho peas" have a nice European feel to them. The decor has a very upscale feel to it. So if you're at Waugh Chapel, or just looking for something a little bit different, I recommend it. 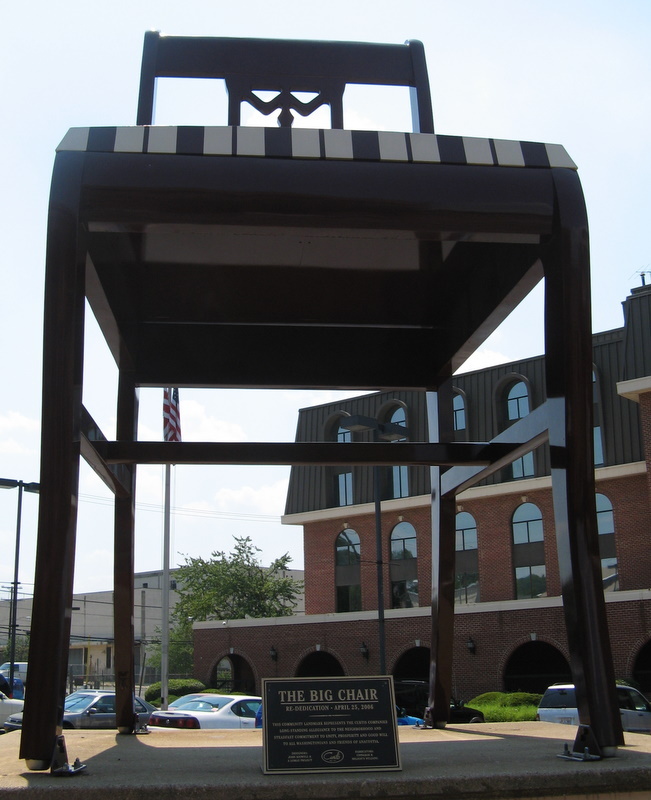 I would be very excited if it moved to one of the empty locations around Bowie. But for now, maybe I'll hold out for an Indian restaurant. Freestyle Fish 'n' Chicken is definitely gone. The space is now for lease. 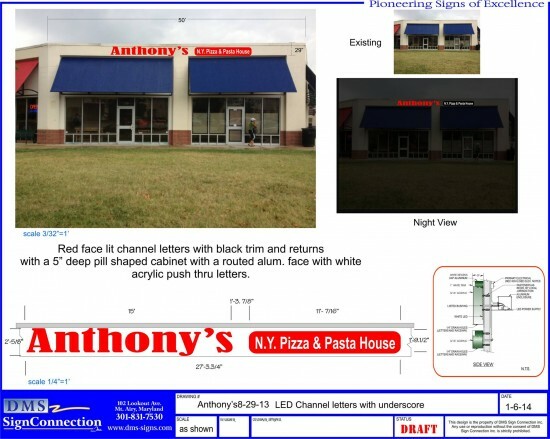 Work has resumed on Anthony's Pizza and Pasta in Free State. It doesn't look like things are anywhere near completion, but construction material has been moved around after laying undisturbed for a couple of months. The 2010 Patriots, the last team to earn this distinction, lost the Super Bowl the following year. That ups the percentages to 37.5% for teams making the Conference Championships in the next season, and 62.5% for them making the playoffs. So, like everyone already knew, expect the Colts to be good next year. Three years ago today, I reported on the progress of Free State Generic #3, but for the other five geocoins I had released, I remarked that I had "pretty much written them off". Well, I haven't heard from Free State Generic #3 since then, but three of the others have popped up since then. Here's a quick summary. Free State Generic #1: Time since last log: 8 days. Longest interval between logs: 1 year, 5 months, 15 days. Free State Generic #2: Time since last log: 4 years, 6 months, 11 days. Longest interval between logs: 2 months, 3 days. Free State Generic #3: Time since last log: 3 years, 1 day. Longest interval between logs: 1 month, 17 days. Free State Mover #1: Time since last log: 1 month, 17 days. Longest interval between logs: 4 years, 3 months, 21 days. Free State Mover #2: Time since last log: 5 years, 6 months, 1 day. Longest interval between logs: 1 month, 6 days. Free State Mover #3: Time since last log: 9 months. (Because I retrieved it.) Longest interval between logs: 2 years, 5 months, 26 days. So half my geocoins disappeared for over 2 years and 5 months before resurfacing. The other half just disappeared. Lesson: don't write them off too soon. So what's up with Free State Generic #1? Prior to this month, it was last logged in Alabama in 2010. But it didn't completely disappear. In 2011, someone remarked, "Picked this up a while back and decided to drop it off in Cozumel!" In 2012, someone else reported, "found in Cozumel. Taking back to AZ for some dry heat." And then, this month, they did exactly that. Below is its progress since I dropped it off in Maryland 6 years ago while waiting for my drivers license. Sadly, Cozumel does not appear on the map, since nobody ever bothered to log it in there. I have Free State Generic #4 and Free State Generic #5 sitting around the house somewhere (I activated them in 2010); I should really release them. I read this because it was the January 2014 Sword & Laser pick, and because it's one of the few Nebula Best Novel winners I hadn't read. I waited until the Sword & Laser wrap-up podcast to write this review, in case I heard anything that changed my mind. It didn't; it rather intensified my general dislike for this book. I believe that plot and setting are important components of novels. Further, I believe that an author has an obligation to his or her readers to convey the plot and setting. Yet, the Sword & Laser podcast hosts, while attempting to summarize The Einstein Intersection, repeatedly fumbled or hedged based on their lack of understanding of what the hell was going on in this book or what the setting for it actually was. Some people like how much this book left to the reader's imagination, or for the reader to figure out. I think the best novels are capable of layering depths of meaning over a coherent story. As an example, this book contains references to the myth of Orpheus. Nobody ever reads about Orpheus and says, "Huh, I'm not sure what happened there." It's a story. Two stars instead of one for being well-written (in the sense of having a pleasing command of language) and because the plot wasn't completely incomprehensible. But it's not a good sign that I picked up another book (Diplomatic Immunity) in the middle of reading this (short) one because I wasn't enjoying it enough. I am at a math conference in Baltimore this week. The Internet access is terrible, so I am composing this post on my phone. We'll see how it goes. During lunch yesterday, I walked over to a virtual geocache at Camden Yards. My understanding is that it's a war memorial that was built when the old stadium, which was itself a memorial, was torn down. This gives me my 12th minute in the 76th degree west, and my 10th "county" in Maryland. The other nearby geocaches are either also in minute 37, or are in minute 36, which I took care of in Calvert County years ago. So that wraps up my geocaching for the week. The trickiest places to find a time to review have been ones that aren't open for weekday lunches, my most frequent type of kid-free meal. 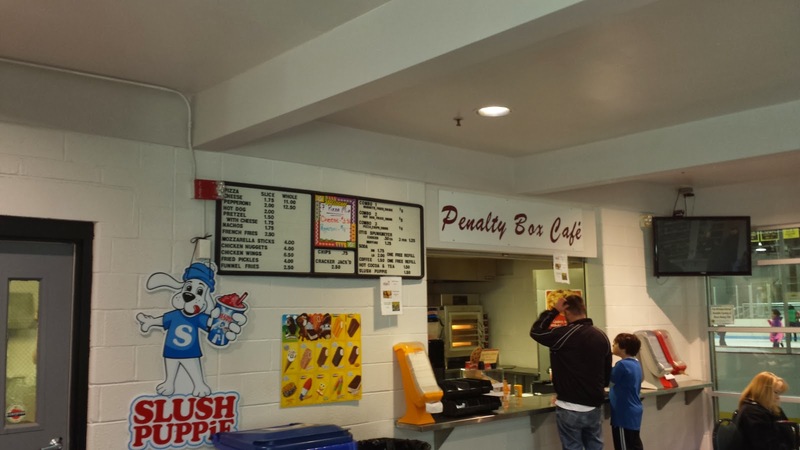 I gather that the Penalty Box Cafe is mostly open when school is not, although a phone call a year or two ago didn't turn up any sort of set schedule. The PBC is located inside the Bowie Ice Arena, so the main audience for the restaurant is skaters and their families. Bowie Ice Arena is itself located in Allen Pond Park, so it's also an option for parkgoers. Be warned that the seating is limited, and on our family visit (as parkgoers, not skaters) seemed mostly occupied by people who weren't eating. There are three "combos" available, and I believe those are the main dining options: pizza, chicken tenders and a hot dog. The pizza was awful. I can't recommend ordering it. The chicken tenders were actually very tasty; I nabbed some from the kids. They were out of hot dog buns on the first visit, so I saved that for the return trip. The guy warned me that the hot dog was microwaved, which I thought might be OK. But it's a jumbo hot dog, which meant it heated unevenly. Not great. 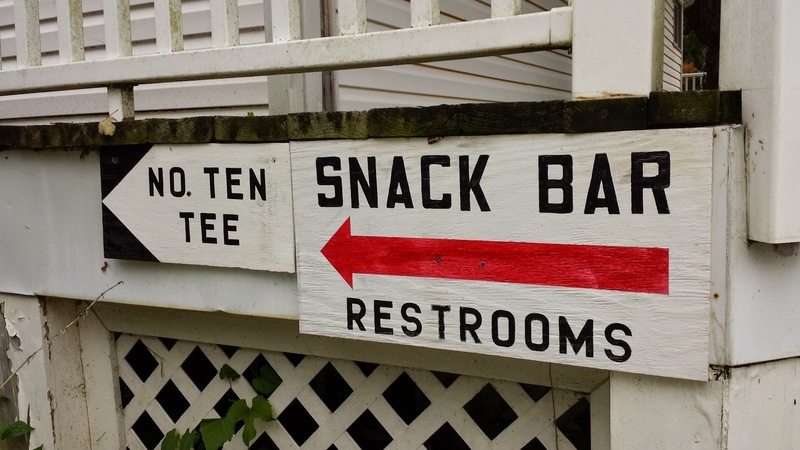 You get the sort of service you might expect at a snack bar. Youth who clearly have no experience with or interest in the restaurant industry prepare and serve your food. 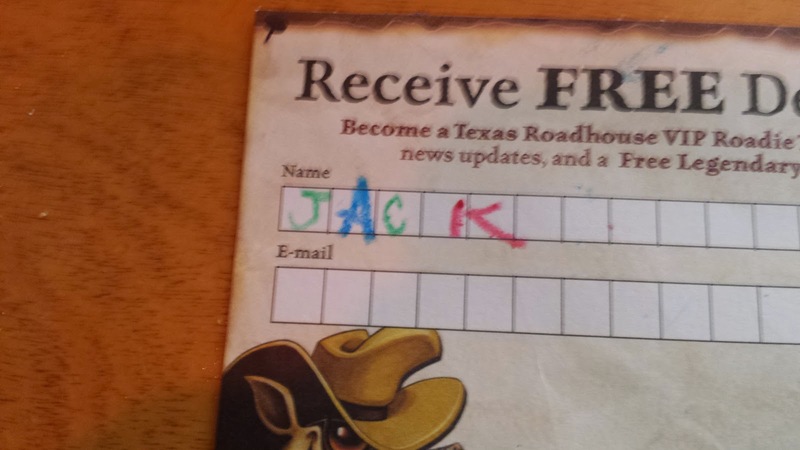 They were uniformly super-nice, especially when my kids spilled most of the table of food. But you'd run into a bottleneck where it would take 10 minutes to get a soda refill. The fries were good on both visits, but they were completely different styles. Five restaurants to go! Two fall into the "no weekday lunch" category, one is too nice to take the kids (or co-workers!) to, there's another snack bar I haven't figured out the hours on, and a newer restaurant that I'm waiting for a third visit to. The end is in sight! It looks like Freestyle Fish 'n' Chicken. is done for. At least when I've been near there recently, they haven't been open, and it's been normal restaurant hours. Other news...No progress since October on Anthony's Pizza. Little Caesar's is coming to Bowie Plaza. I doubt they'll have a dine-in option, which means I won't have to review it here. I recently became aware of a nearby geocache which you're only allowed to log if you've found caches in all 60 minutes of the 76th degree west of longitude. Since I live in that degree, I thought I'd have a shot at having a substantial number of these minutes. 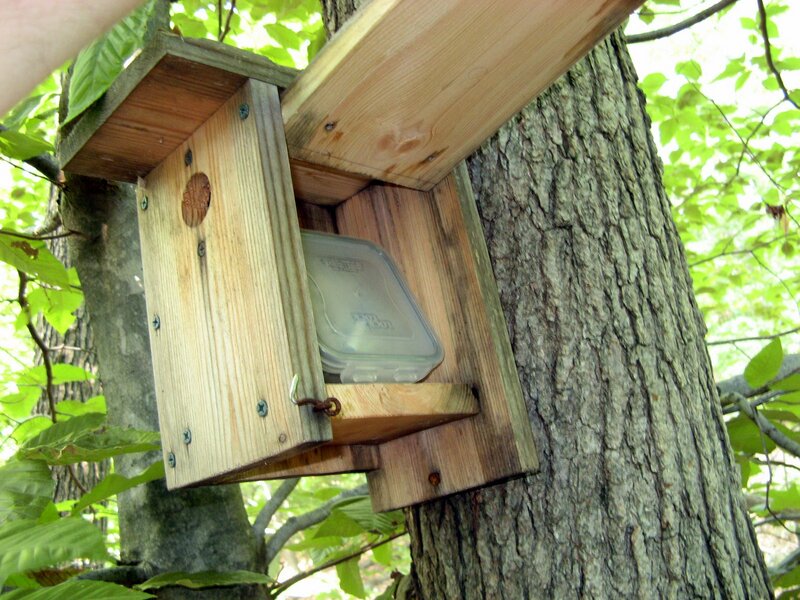 I've only found 86 caches total, and many of those were not in the Eastern U.S., so I knew I wouldn't be close to 60, but it might be interesting. 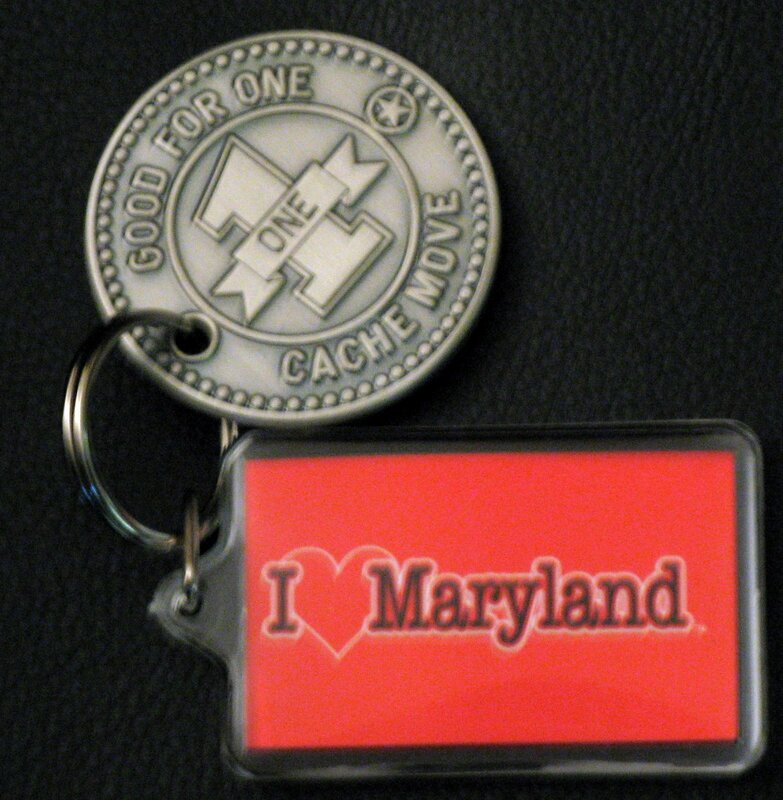 My previous "goal" was to find caches in all of Maryland's 24 counties. I stalled out at nine a few years ago, mostly because a lot of travel would be required to add to the list. But the minutes are by definition, potentially close to home. As it turns out I have 11 of the 60 minutes. Here they are. (When I found a minute multiple times, I used the earliest representative. It's possible that I found a few other minutes, but since I am no longer a "premium member," I can't retrieve the coordinates. At this point, I don't think it's worth it to re-join. Given that I only have 6 restaurants left to review in Bowie, I don't think I'm going to get 17 posts out of that in 2014. More than 6 hopefully, with new restaurants opening, and some summary posts I have planned. I have moved many of my books posts over to Goodreads, though I can plan to post my more substantive reviews here as well. If I become a Hugo voter this year, I also get the right to vote on the 1939 "retro-Hugos", so I should have a lot more material to cover. If I'm going to beat (or even reach) 40 posts this year, I will have to rely on some of the recently-neglected categories. I didn't do much travel in 2013 (none without the family), but there's potential there. 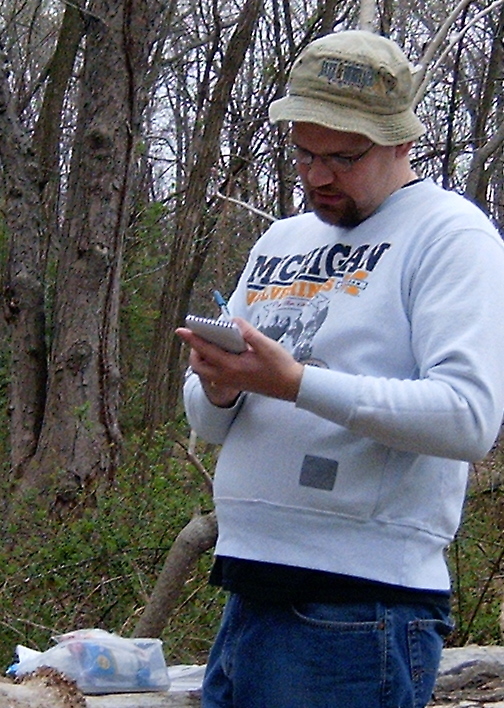 I have a geocaching post coming up this weekend; maybe I can do more of those. And biking would be a nice thing to blog about.